Heated Front and Rear Seats: You and your passengers can ride in comfort, no matter how cold it gets outside. Frameless, Auto–Dimming Rearview Mirror: This stylish mirror helps lessen glare from headlights behind you. Climatronic Dual-Zone Automatic Control: This features ensures that you and your passenger ride in the exact temperature you prefer. 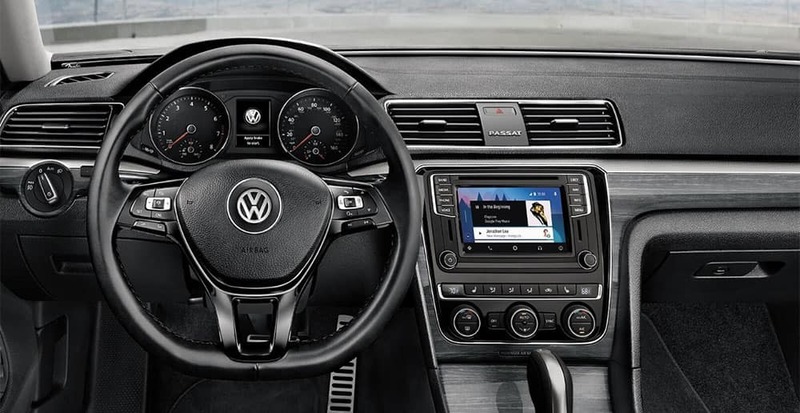 And the new Volkswagen Passat interior looks as good as it feels too, thanks to available elegant wood-textured trim and refined aluminum accents. Compare the interior of the Volkswagen Passat to the Volkswagen Golf, and then schedule a test drive at Volkswagen of Palm Springs. Our knowledgeable finance team can help you obtain a VW Passat lease or financing. So contact us online, and drive home in style today!